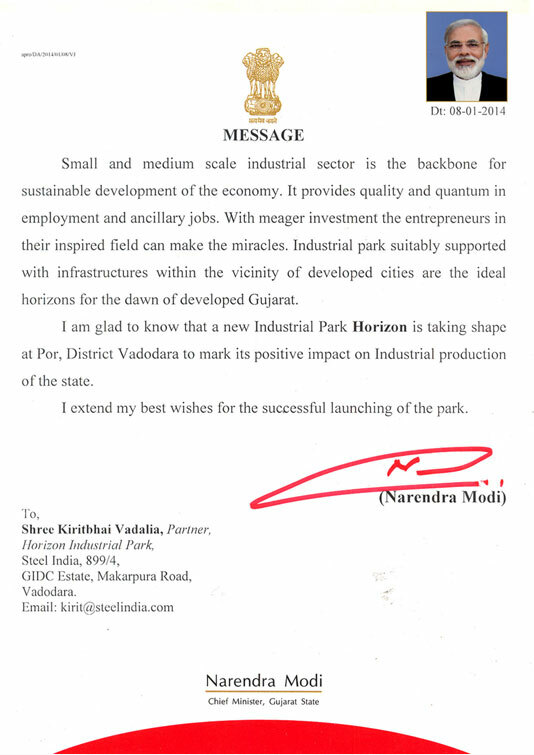 Horizon Industrial Park, Chinese Industrial Park at Por, Vadodara. 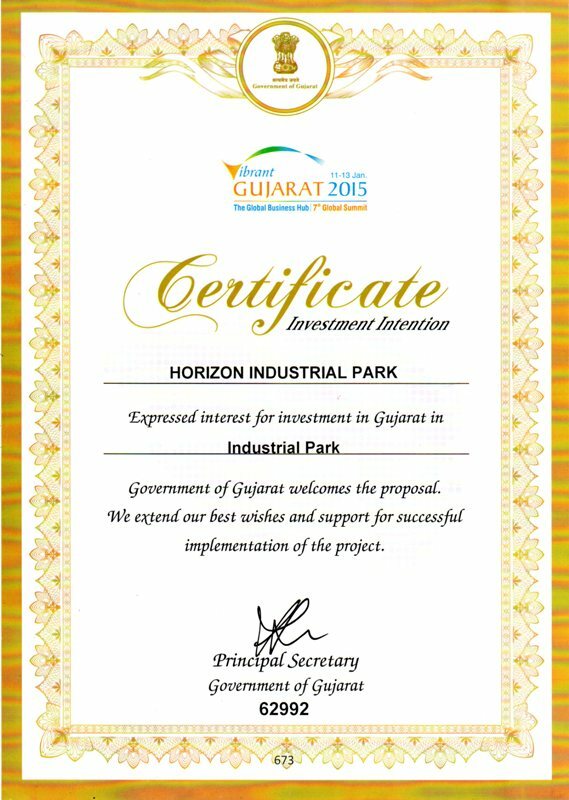 • Government of Gujarat Approved Industrial Infrastructure Park Project in Vadodara District. 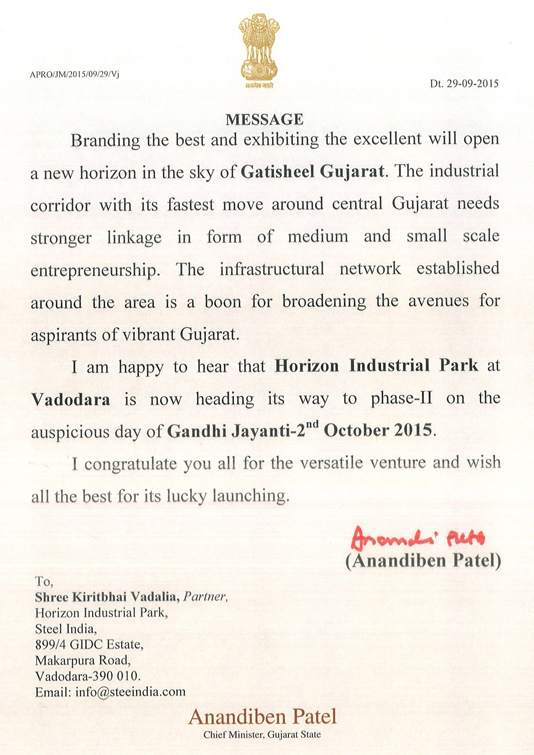 Located in a Fast Developing Industrial Area around Vadodara in Vibrant Gujarat State. Designed with the right facilities & amenities to provide an ideal industrial working Environment with convenience and comforts. • Project Loan Available by Bank. • Advantage: Promoted & Developed by most Dynamic Entrepreneurs and Highly Experienced & Qualified Professionals from various Industries with Elegant Planning. 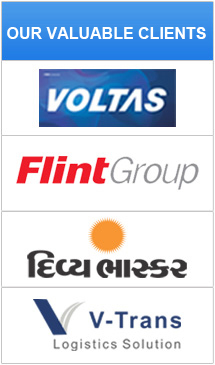 • Easily availability of skilled & semi skilled manpower. 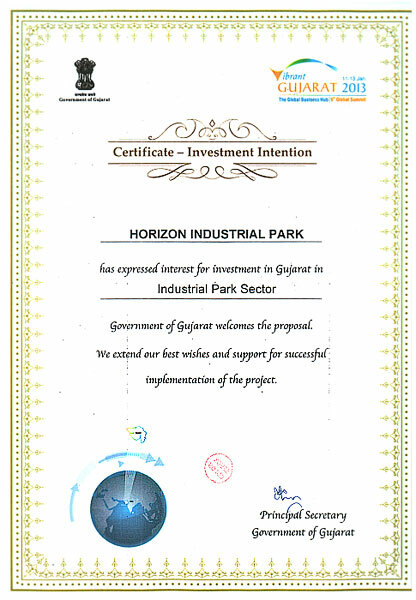 • Surrounding Premium Land Mark Industrial Estates like GIDC Savli-Manjusar-Alindra, Makarpura, Por, Karjan, Halol - Kalol, Waghodia, Ranoli, and Nandeshwari Industrial Estates with MNC Neighborhoods. • Electricity-Power, Broadband- Internet & Tele-phone Connection easily available. • Construction Facility available from our Company Expert Architect & Engineers.